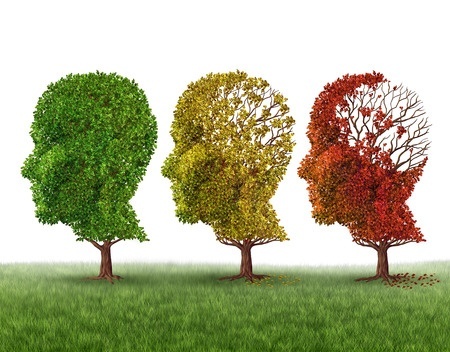 All number of questions come up when a loved one is diagnosed with Dementia or Alzheimer’s and by the very nature of the illness, their symptoms can increase quite rapidly. These common mental health questions are designed to signpost you so you can access the help and support you need. 1. My father/mother or husband/wife has been diagnosed with dementia and I feel unable to cope, what options are available to me? You can access help and support from the National Dementia Helpline on 0300 222 1122 who can discuss your options with you. There are options to consider such as residential or nursing care or having a carer in your own home to look after your loved one. It is important to review the cost of paying for care and whether your family member is eligible for any help in payment of these fees. There is a National Framework for NHS Continuing Healthcare and NHS Funded Nursing Care, last revised in 2009. This outlines what Continuing Care is and the criteria for receiving it. This is based on having a ‘primary healthcare need’ and assessed against twelve criteria or care domains and scored in each domain as low, moderate, high, severe or priority. You can get assessment for your loved one by asking your PCT to assess them and ask to see the full decision once it has been made. There may be an opportunity to appeal the decision too, but they have shortened the appeals process to six months after the decision. 2. As my parent’s symptoms progressively worse, when can I get help and what help can I access? Speak to your GP to ensure that you have access to a coordinated approach in services and healthcare professionals. Ensure that you get access to a Dementia Nurse if there is one available as they will be able to help and support you with the illness, behavioural changes and also provide support to you as a carer. Your GP or Dementia Nurse could also suggest support groups and activities that could provide some relief and support. Where you have been detained in a Mental Health setting, any care you receive once you have been released should be free of charge. This should help you to remain stable and stop you being readmitted. The right to Aftercare is in section 117 of the Mental Health Act 1983. You will be given a care plan once you leave hospital detailing the care you will receive. 4. What is Community Care? This term is used to encompass a number of different services that help people to manage their physical and mental health whilst outside of a formal hospital or care home setting. Social Services or Community Health Teams can arrange support for you. 5. What is Social Care? This is a government term used to define how they provide help and support to the people in our communities who need extra care or support. 6. I don’t think I’m getting the support I need from the local authorities, what can I do? You can make a complaint to your LA by writing to them to raise the issues you are having with them in the first instance. If you feel that they do not adequately address your concerns, you can go through their complaints procedure – most councils will have a section on their website to allow you to do this. If you still feel that your complaint has not been handled correctly you can complain to the Local Government Ombudsman. 7. Under what circumstances can a legal claim be brought against the NHS or local authorities? Where there has been negligence in the care of your loved one you could make a claim – we can offer you advise on this and on the chance to appeal any decisions made on payments for care and primary health needs. 8. How do I make a claim against the NHS or local authority? Talk to us today about making a claim. We can offer you clear advice about this process, the likelihood of success and funding options for your legal costs. For any other mental health questions you may have that have not been covered, please do get in touch – our team are happy to help. You can call on 0208 520 4555 or 0800 056 0346 or if you prefer, you can email us on law@romcolelaw.co.uk or complete our Free Enquiry form.